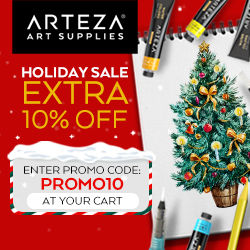 ← Reverse Confetti and MISTI Hop & Giveaway!!! If you’ve arrived here from Pam MacKay‘s you are in the right place! If not head over to the start of the hop on Mitsyana Wright‘s blog. 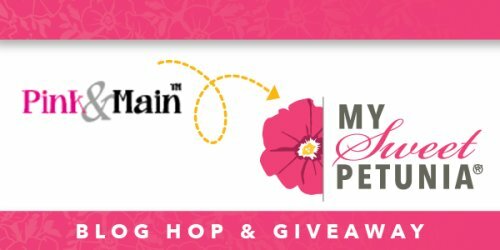 Make sure to comment on every stop on the hop because TWO lucky commentators from the hop will win one of two prizes: a $50 shopping spree at www.mysweetpetunia.com and a $50 shopping spree at www.pinkandmain.com – they must leave their comments no later than Sunday, March 25th, at 11:59 PM Central time and winners will be announced on Tuesday April 3rd, on the Pink and Main and My Sweet Petunia blogs. 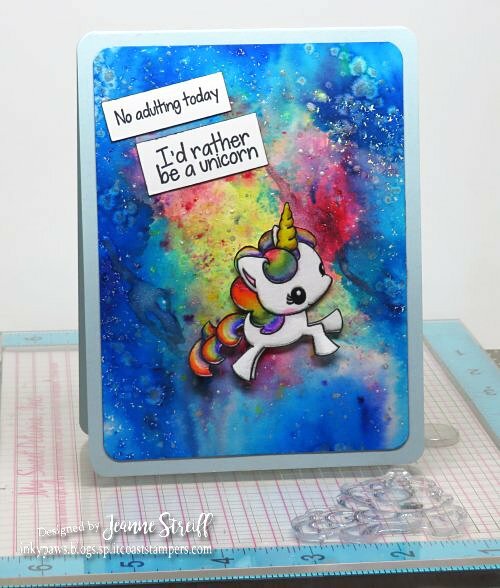 I stamped the sweet unicorn from I stamped the unicorn from Magical Unicorns (leave the stamp in the MISTI), colored the image and then restamped to make the outline pop. 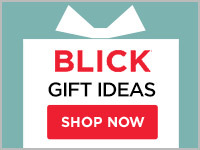 The sentiment is from Planner Peekers. I used an assortment of Color Burst from Ken Oliver Crafts and to make my background. Yolie Burke <— head here next! This entry was posted in All Occasion, MISTI Tool, Pink & Main. Bookmark the permalink. “No adulting today” has become my battle cry! Love your card. That is a fantastic background and love that unicorn!!! So lovely! I think your background is amazing! Very cool background love the sweet unicorn too!! I absolutely love the background and the unicorn. It looks like he is flying through space bringing joy to everyone. Thank you. That background is amazing!! What a darling card. Awesome background…love the rainbow mane and tail too!! What a great card! Love the background and your rainbow unicorn! Wow, fantastic card! 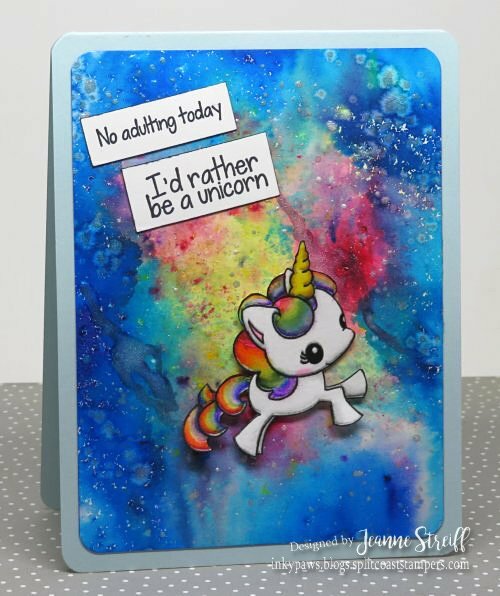 The background is stunning, the sentiment sweet and your rainbow coloring on the unicorn is amazing! I love that background you created. Your card is so cute. Am so enthralled with your Unicorn “No adulting” card!!! So fun and whimsical! 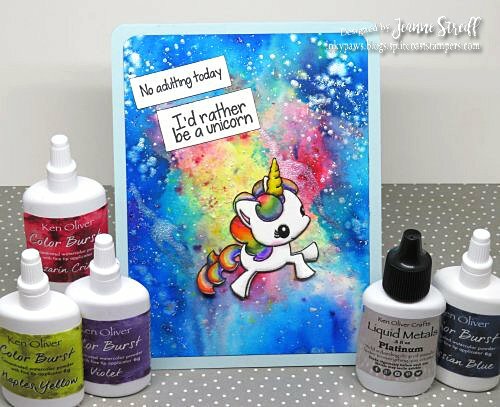 Beautiful job on the background, sure makes that cute unicorn stand out! I love the unicorn and your background. I use the Brusho. I just love the technique and the outcome. Great unicorn, I have a t- shirt with not adulting today as I love that motto. Your background is amazing a really galaxy, bright bright colours. This is so adorable and the background is fantastic! Love the rainbow unicorn hair too! How sweet! I Love the sentiment! How many times I soooo feel this way! HAHAHAHA! New follower! No adulating today! Haha! I like that! And the unicorn is just so cute! I also love all the rainbow of color choices that you used too! Cute, nice colors. Thank goodness for the MISTI and perfect stamping. Love the colorful background for this cute unicorn. I always like a “no adulting” theme! The background is stunning! Who wouldn’t rather be a unicorn??? Job done with perfection ! That background you created is fantastic! The colors blend beautifully with the sweet unicorn. I find that adulting is often overrated! Love the colors and that adorable unicorn! That’s a super sweet card with a stunning background ! Adorable unicorn,I love them. They look so cute and gorgeous.I love your outrageous background,it so inspirational. When I saw this on SCS, I loved it, especially the gorgeous background & I love it here. Great tip about coloring while still in MISTI and restamping for some pop! I’ll remember that … because I wrote it down!!! Love the gorgeous background and what a great sentiment. Love the background. It’s beautiful. Love the colors you got for the background for the little unicorn. Great job. He is a doll! Awww!!! Too cute!!! Awesome background!!! Super cute. Love the colors, patterns, and design. And that background is amazing. Just adorable. Love Love Love the background! Holy smokes! That background! The coloring! GORGEOUS! You can find more explanations of such strategies, and share them with teachers, in this culturally-responsive teaching guide.